Monsignor Edward Staniek, a prominent Polish priest who wants to protect traditional Catholic values ​​from secularization, said earlier this year that he prayed that Francis would give his thought to the problem would agree or have "a quick passage to the father's house." In Hungary, many church officials have allied themselves with anti-immigration Prime Minister Viktor Orban, who comes from a Protestant and was once ambivalent about religion, but now says, "European identity is rooted in Christianity." He sees his fence against migrants as a defense of Western civilization, and Bishop Laszlo Kiss-Rigo, the supreme functionary of the church in southern Hungary, apparently agrees, having said that the Pope does not understand the situation and that Hungary is under invasion. Populists in Italy have said that Francis is essentially abandoning the fight for Europe's Christian identity. Matteo Salvini, the leader of the anti-immigrant league, has talked about how Pope Benedict understood the needs of European peoples to preserve their religious and cultural identity in the face of Muslim migration. When the landslide in Ireland bothered Francis He did not show it on Sunday afternoon. 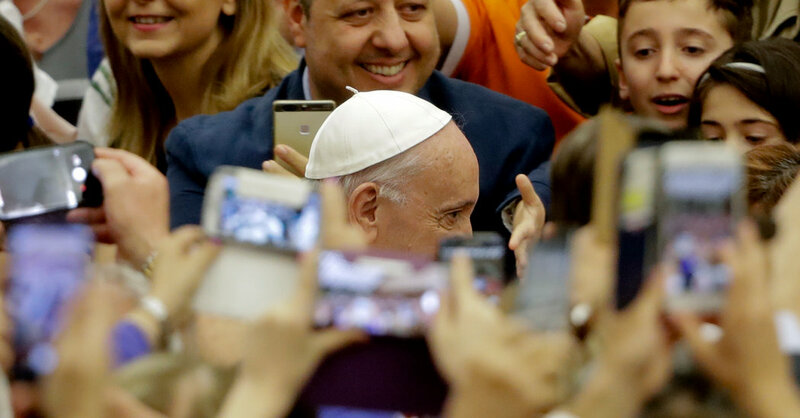 He smiled widely as he blessed tens of thousands of people in St. Peter's Square and invited them to pray for Africa. Kilvia Passos, 47, cheered the pope as she held a flag of her native Brazil, the country with the world's largest Catholic population. She said that despite the growing evangelical competition, the country is still deeply Catholic. "We worry about what's happening here," she said.